Katsuhiro Otomo's Akira (1988) was more or less my first exposure to Japanese animation. A friend of mine, who had spent several years of his childhood in Japan, owned both domestic VHS versions of the film in the early 1990s: one was subtitled, the other was dubbed in English. Not surprisingly, the film's mature subject matter, intense atmosphere and jaw-dropping visuals sucked me in immediately, even though the story flew over my head. Soon enough, I would catch late-night anime marathons on the Sci-Fi Channel (may it rest in peace), browse through my friend's manga collection and seek out anything else in the fledgling days of Internet newsgroups and chat rooms. 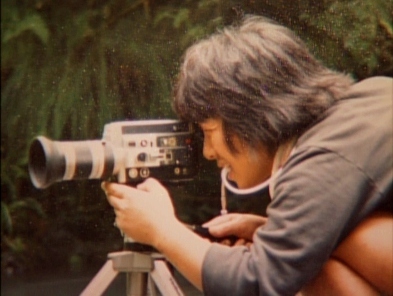 My love affair didn't last too far into adulthood; now, it's limited to the occasional Hayao Miyazaki film and everything that's been influenced by the genre. Still, Akira remains a favorite for obvious reasons, and I know I'm not alone in appreciating its chaotic, visceral charms. 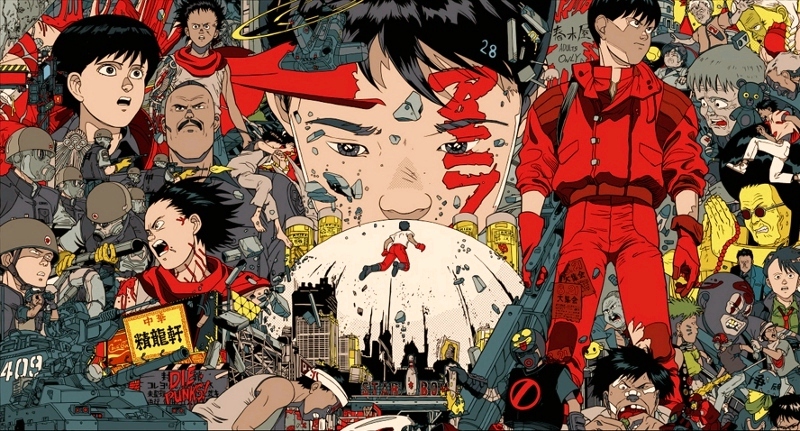 Based on Otomo's massive---and still unfinished, as of the film's 1988 release---manga series, Akira had the daunting task of condensing an apocalyptic, mind-bending saga into just 120 minutes. Though it undoubtedly has trouble keeping focus as the film progresses, it does an admirable job of keeping viewers in the heat of the moment. Big things happen, and the film's massive scope makes it feel slightly longer than its running time implies. First-time viewers will be in over their heads but they'll come back for more, thanks to Akira's thick atmosphere and unpredictable story. It's every bit as influential as earlier films like Blade Runner and later films like The Matrix, but without the limits of live action shooting. Not surprisingly, Akira did big business in its native Japan but struggled to find theatrical footing in America. Limited to a brief theatrical run in 1989 (and paired with an English dub that was ported over to the subsequent DVD release before Pioneer commissioned a new one in 2001), Akira gained most of its domestic popularity as the home video market grew. In just over a decade, it was generally regarded as the pinnacle of a genre that was rapidly becoming as mainstream as Disney was in decades past. 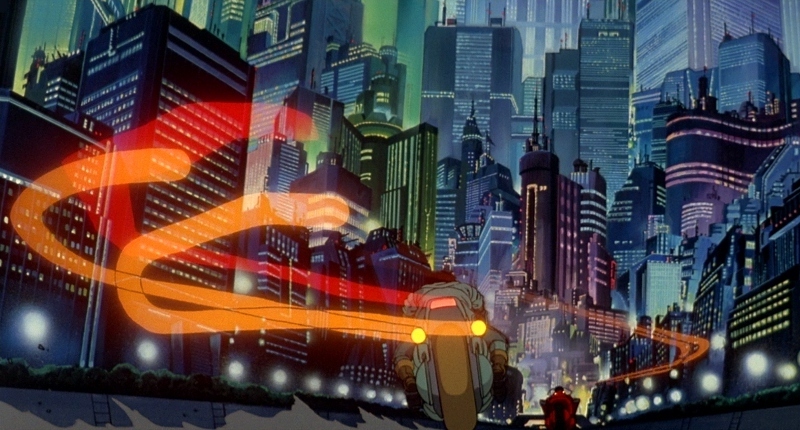 Nowadays, some kids are probably seen as weird if they don't like anime: thanks to the cult of Akira and its descendants, what was once seen as niche material is pretty much required viewing for budding fans of Japanese animation. But it still holds up mighty well to repeat viewings, or it wouldn't have grown in stature so much. Unless you've been living under a rock for 20 years, Akira has been widely available on home video in different forms. Pioneer and The Criterion Collection authored separate laserdiscs, the aforementioned VHS releases were made available and, of course, it's been offered on DVD on several occasions. I bought two versions myself, including Pioneer's excellent 2001 Special Edition Tin and the later Japanese DTS 5.1 disc. My late foray into high definition caused me to miss the boat on Bandai's 2009 Blu-ray...but since it dropped pretty much all of the existing extras and eventually went out of print, it didn't bother me too much. Funimation celebrates Akira's 25th anniversary with this new Blu-ray/DVD combo pack: it marginally improves the visuals, serves up more or less the same great audio (including both the 1988 and 2001 English dubs) and even ports over many of the vintage bonus features. It's still not perfect, but it's pretty darn good. Bandai's 2009 Blu-ray offered a very good 1080p transfer presented in the original 1.85:1 aspect ratio; the main problem was that it was "picture-boxed", which added a small black area around all four sides to compensate for TV overscan. This Blu-ray removes that annoying "feature", while the colors appear more evenly saturated as well. Aside from that, it's pretty much a toss-up: trace amounts of dirt can still be spotted on occasion, as well as mild DNR and uneven grain structure, but Funimation's Blu-ray still represents the best that Akira has looked on home video. This was undoubtedly tough source material to work with, but I can't imagine that most fans will find much of anything to complain about here. Depending when you first watched Akira, you might have some sort of preference for at least one of the film's various audio mixes or dubs...and to Funimation's credit, they've done a fine job of making sure we've got plenty to choose from. The default track is Pioneer's 2001 English dub (presented in DTS-HD 5.1 Master Audio), but we also get Streamline's 1988 English dub (DTS-HD 2.0 Master Audio) and, of course, the "original" Japanese track (DTS-HD 5.1 Master Audio). Those sarcastic quote marks reflect the absence of a Japanese 2.0 mix (present on the 2009 Blu-ray)...but at the end of the day, it's hard to complain. Akira is well-known for it's sonic prowess, so either option will not disappoint in proportion to its source material: dialogue is uniformly crisp, Shoji Yamashiro's music sounds dynamic and rear channels are used on many occasions to provide plenty of support. In short, both 5.1 options sound more or less identical to the Dolby TrueHD tracks on Bandai's Blu-ray, while the older 1988 English dub is obviously more limited by its source material. The optional English subtitles translate the Japanese 5.1 audio track...so if you choose one of the dubs, they won't match by a mile. The menu looks harmless enough at first glance, but it's a little slow and you can't turn the grating button sounds off. Also, the pop-up interface only lets you access the main menu (not the chapter selection or extras)...and once you're back there, there's no way to pick up where you left off. It's definitely the laziest aspect of this release and could've easily been fixed. The packaging is more impressive, as this three-disc release (one Blu-ray, two DVDs) is housed in a hinged keepcase with attractive double-sided cover artwork, a promotional insert and a nice matching slipcover. More than the 2009 Blu-ray, but several vintage Special Edition DVD extras didn't make the cut here (most notably the "Akira Production Report"). What has been recycled includes the multi-part "Sound Clip" music featurette; a 1988 Katsuhiro Otomo Interview; a Restoration Featurette that covers the 2001 remastering, new English dub and 5.1 mix; a collection of Otomo's original Storyboards; a helpful Text Glossary of terms and characters from the film; and finally, a handful of vintage Trailers & TV Spots. These are all well and good, but they're really starting to show their age; many have made their third or fourth appearance since Pioneer's laserdisc several decades ago. Don't get me wrong: it's nice to have supplements like this ported over, but you'd think the film's 25th anniversary would prompt some new material. A few minor or slightly modified extras are also on board, including "The Writing on the Wall" (essentially, a rehash of the older "Capsule Mode" that presents translated graffiti text as a small gallery), a 2013 Trailer for this Blu-ray that you're already watching, a handful of other Funimation Trailers, a DVD Copy of the film and even a second DVD with the Blu-ray extras ported over. 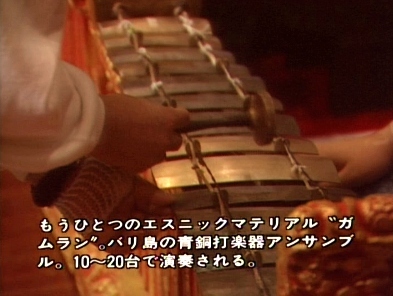 Optional and/or forced English subtitles are included for translation purposes only. So while this is far from a definitive release (you'll still want to keep those Special Edition DVDs), at least there's some effort here. Without question, Katsuhiro Otomo's Akira is an essential slice of Japanese animation history. Everything about it screams "ambition", from its amazing visuals and stunning sound design to its massive, apocalyptic scope. 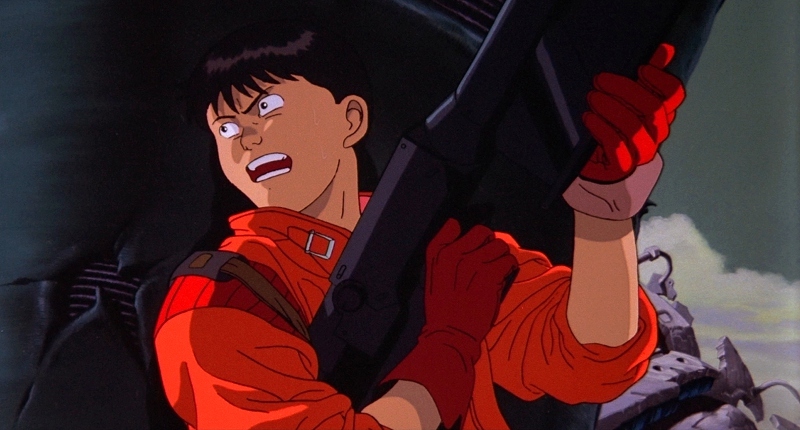 Akira is not a perfect film: it condenses too much material into 120 minutes, and those newer to the film may find it an exhausting experience. But it scratches an itch in a way that few films can, animated or otherwise, and its legacy will undoubtedly continue for a long, long time. Funimation's Blu-ray inches ever closer to a definitive home video edition: the A/V presentation earns solid marks, while the bonus features are mostly recycled from earlier Pioneer releases. Overall, this 25th Anniversary Edition is Highly Recommended for those who don't own Bandai's 2009 Blu-ray, but slightly less so for those who do. Randy Miller III is an affable office monkey by day and film reviewer by night. He also does freelance design work and runs a website or two. In his free time, Randy also enjoys slacking off, juggling HD DVDs, avoiding teddy bears and writing in third person.